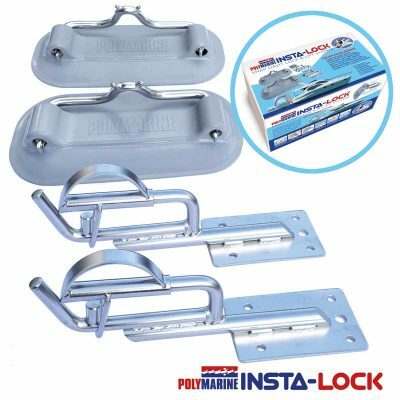 Pair of Stainless Steel shoes for RBD 100 kits for quick removal of davit heads. 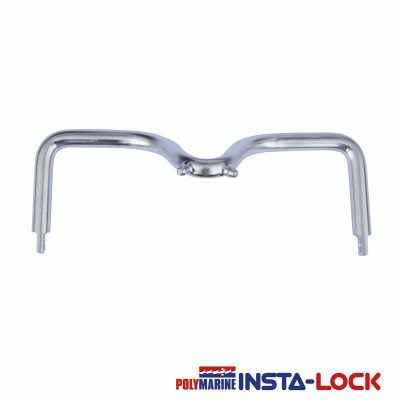 Supplied with stainless steel fixing bolts and quick release pin. 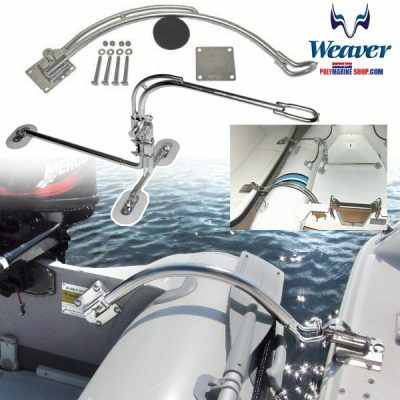 The ‘quick fit’ allows for quick removal of the davit heads so bathers don’t stub their toes or trip over the davit heads. Allows unhindered access to the bathing platform. The shoes are bolted down to your swim platform. 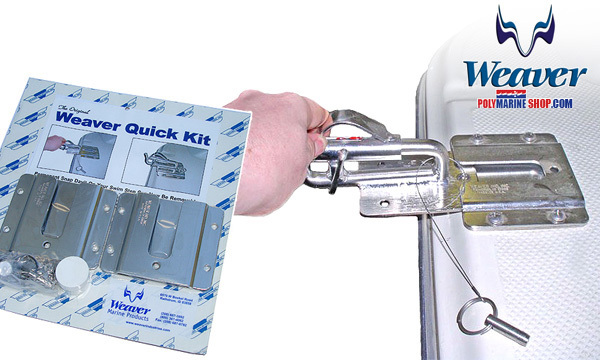 By releasing the pin the davit head can be quickly and easily removed.